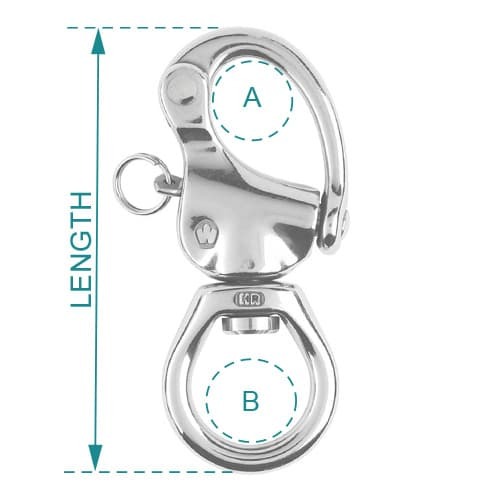 Stainless steel snap shackle with large free rotating eye, ideal for several ropes, pull release plunger, suitable for numerous applications in harsh marine environments. Snap shackle with large bail forged in high resistance 17.4PH stainless steel. 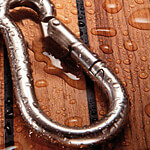 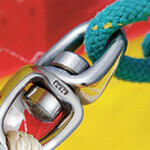 Swivel bail provides free movement of rope and reduces the risk of tangles and knotting.